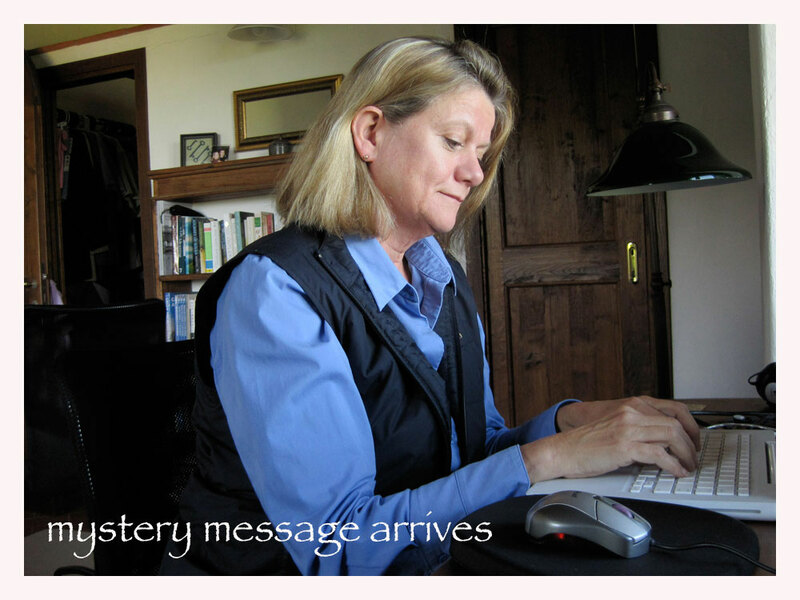 12:21 pm Wednesday—message through WordPress from Carolina (previously unknown to us) in Capetown South Africa: My Mum lives in Tuscany and I received a letter from her where she wrote about Monteloro and the only restaurant of the village. I googled it up and I came across your blog . 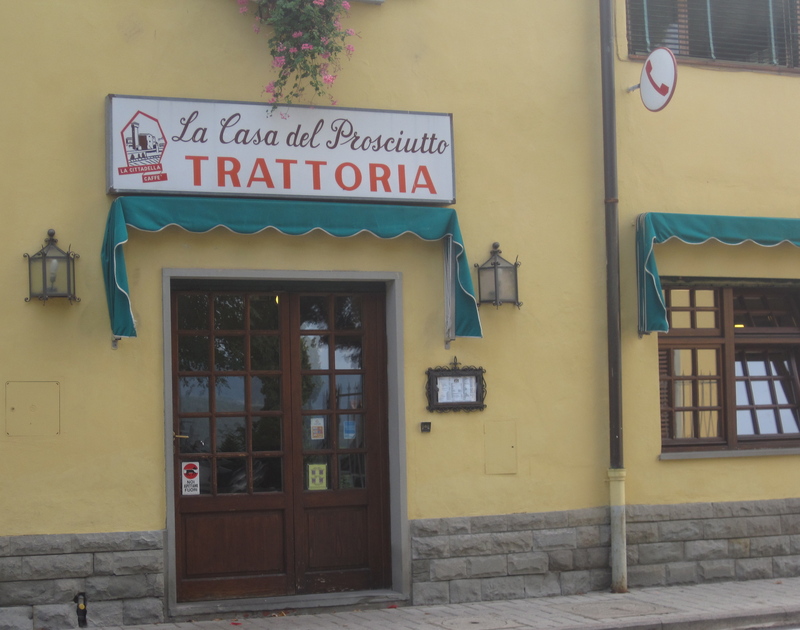 . . Do you know by the way, Trattoria La Casa del Prosciutto (House of Ham), in Ponte a Vicchio? 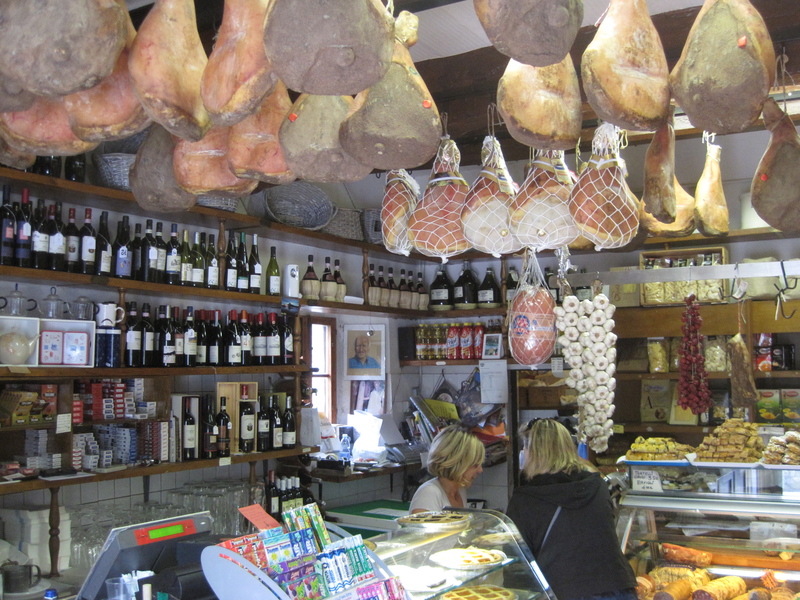 3:09 pm Wednesday—response from C and E: Trattoria la Casa del Prosciutto, is actually in Torre di Buiano, only 5 minutes from us, and is one of our favorite places. Good news . . . their hours have evidently expanded since you were there. 1:00 pm Thursday: Carolina was right! After finding info online, we secured a reservation for lunch the next day. Due to Carolina’s positive review, we arrived ready to be surprised. We were not disappointed. It was fabulous!! As for the apparent secrecy of the place, the mystery was soon solved. 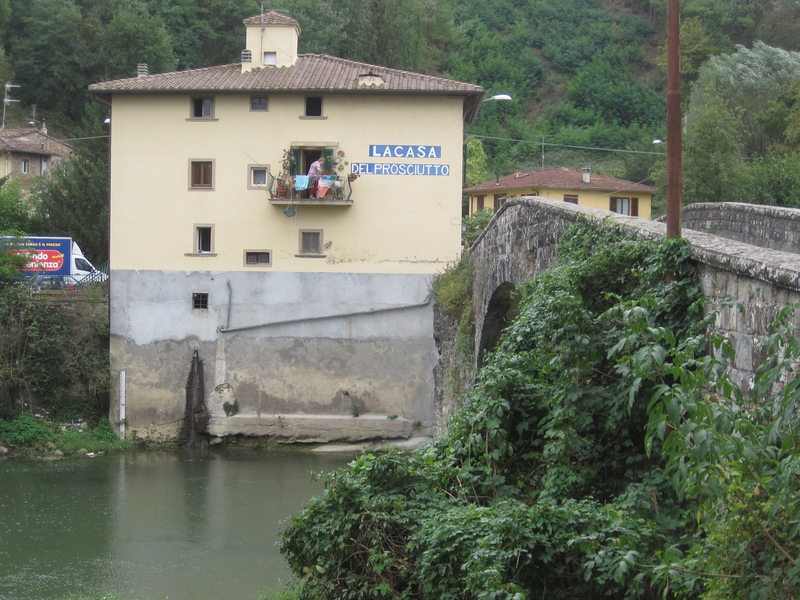 The restaurant happens to be located just this side of the old stone bridge outside of Vicchio, in a smaller than small town called Ponte a Vicchio (meaning bridge to Vicchio). The restaurant is essentially the entire town, and is evidently a favorite haunt for the local patrons and their closest friends. Think about it! Over the course of a few short hours, four simple electronic messages were exchanged by total strangers located in Tuscany and South Africa (roughly 13,000 kilometers or 9,000 miles apart). Miraculously, we became aware of an exciting new possibility just down the road from us. Within a few minutes, we were able to locate, call the restaurant, secure a reservation for the next afternoon, and then locate La Casa del Prosciutto precisely on Google Maps. Incredible! But wait! There’s more! Following our scrumptuous lunch, we were able to write a quick story, and via internet, send it around the world to anyone who wants to read about it. Now . . . you have the information, and can send it anywhere in the world you choose (or not). How cool is that? But, even though the case of the secret mystery restaurant has been solved, we shouldn’t forget its namesake in Torre di Buiano—also in the heart of Tuscany. It’s every bit as tasty and deserves a visit or two or three as well! 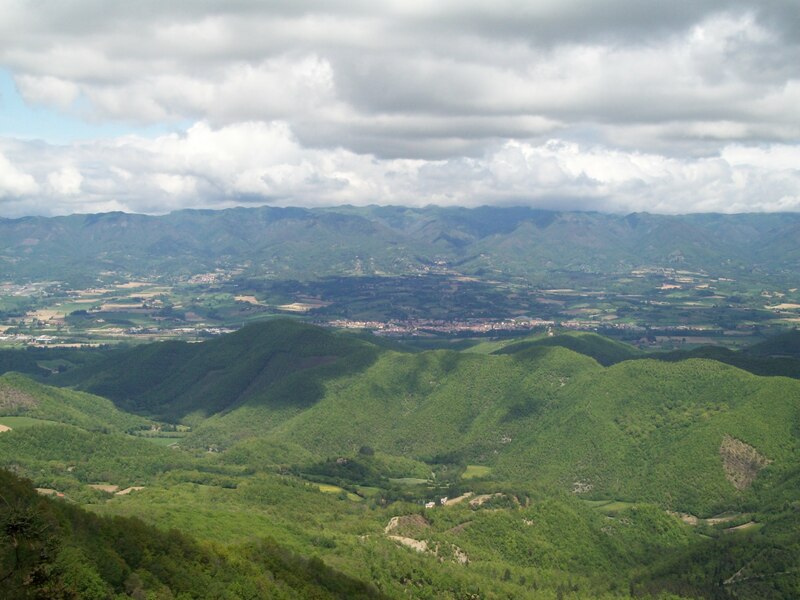 Put both of them on your “don’t miss” list for your next visit to Tuscany! Next Post: Things Don’t Always Work Out! This is fantastic! I am going to phone my Mum and tell her about your Casa del Prosciutto.